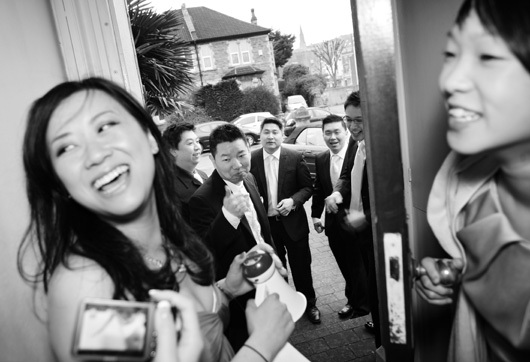 I had an honour and a great pleasure of photographing a traditional Chinese wedding in the heart of Bristol. 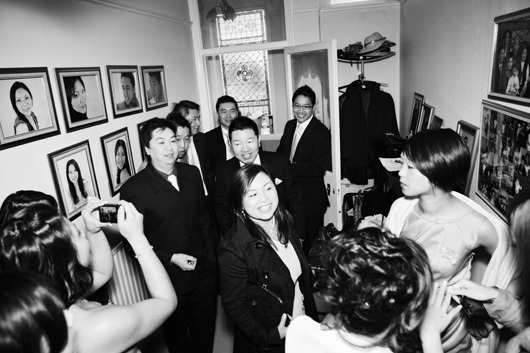 I came to Alison’s family home in central Bristol early in the morning to photograph the traditional Chinese pre-wedding rituals which began with Andy and his best men going to the Alison’s home. 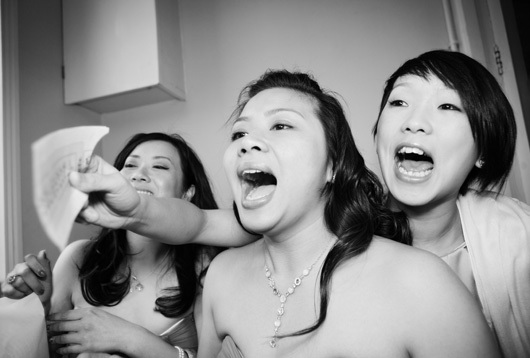 The girls bartered with the groom who begged the girls with small gifts and red envelopes stuffed with money in exchange for the bride. After the teasing game, Alison’s parents performed the traditional tea ceremony where Andy and Alison bowed before the bride’s parents before bowing to each other. The tea ceremony was the confirmation that the groom was welcomed into the family. The official wedding ceremony took place at the Bristol Register Office followed by a short session near The Clifton Suspension Bridge. Then we drove to the other side of Bristol to the Warter Sky Restaurant where 120 guests , a huge multi tier cup cake wedding cake and a 12 course dinner were awaiting for the groom and his beautiful wife.